I guess it really should be a scary story, but, well, I just don’t write those. As a Halloween treat, here’s a scene from Chapter 5 of BLOOD WILL TELL, which at least features a werewolf. Valeriah sat in the corner of the common room, where she could watch the other patrons. It was habit after so many years in the Watch. The common room was the usual mishmash of styles for Chimeria. Some, mostly the younger members of the crowd, affected what they believed was in style on the other side. Of course, the combinations were often as not way off, like the kid mixing a Goth long black coat with oversized cargo shorts and a crisp, button-down dress shirt. Valeriah’s jeans and T-shirt weren’t at all out of place. Some stuck to the traditional Chimerian clothing–ankle-length gowns for the women and tunic and trousers for the men. Some of those, like Cristel, wore clothes of traditional cut, but made of the easy-care and more comfortable poly-blend fabrics and knits from the other side. And then there were those wearing an eccentric mixture of the two, like the barman, wearing jeans and a traditional tunic. Valeriah watched Cristel, sitting alone at a table near the middle of the room, delicately eating her salad and vegetables. Half the men in the room were watching her, too. Well, word would have spread that she was the heiress to their grandfather’s magical collection. If Cristel wasn’t careful, one of those men would turn her head and then take everything, like that too-handsome blond fellow who had just invited himself to the table, sitting down opposite Cristel. Well, it would serve her right. Human, by the look of him. At least he didn’t show any sign of belonging to any of the other races. Possible, she supposed, that he was a hybrid like Cristel and herself. But a human might well have aspirations to become a wizard and a collection like Grandfather’s would be the quickest and easiest way to accomplish that. Valeriah’s view was obscured by a large expanse of dark green. She looked up to see a bearded man standing at her table, grinning down at her. “I said no. Now shove off before I get angry. You wouldn’t like me when I’m angry.” She had gotten the line from a campy TV show on the other side, but she liked it. The man blinked, but didn’t move. Valeriah smiled wickedly and started to stand. Some men just couldn’t be gotten rid of the easy way. Right now, she wouldn’t mind a good fight at all. The relative quiet of the inn’s common room was shattered by a scream. That sounded like Cristel. Valeriah vaulted over the table, shoving the man out of her way. She heard the clatter as he fell into the neighboring table. She paid no attention as she focused on the scene in front of her. Cristel sat on the floor where she had apparently been pushed. The blond man who had been sitting with her stood in front of what had been Cristel’s chair with a knife protruding from his shoulder. Another man–Valeriah caught a glimpse of a dark green tunic–was bolting out the door. Valeriah hesitated. Cristel seemed to be fine, for the moment. And the fury that had been simmering in her gut all day had finally found an outlet. If she could catch the man who threw that knife, she’d have someone to beat her fury out on at last. She surrendered to her werewolf instincts and gave chase, drawing her belt knife as she ran. She was faster than most men. She would catch him soon enough. As she pelted after the fleeing man, she saw him turn a corner around the stables. She smiled. That was a blind alley and she was close behind. This chase was almost over. Then she turned the corner and stopped in amazement. Nothing. There was no one there. The alley was empty. She scanned the area for an escape route. No doors and all of the windows were too high. Even she would have difficulty making that leap. It was impossible. She sucked in a long breath. It was impossible unless, of course, someone had the ability to open a portal. Just like the portal that had been used to kill her family. She had been searching for this for the last eight years. Valeriah looked carefully, trying to spot the telltale shimmer. Nothing. She walked the length and perimeter of the alley. If there had been a portal there, it was gone now. She shook her head. This hunt was over. She’d better get back to Cristel. As a special treat, get 50% off on Smashwords when you use the following coupon code: EG24K. I’m still working on the second draft of the sequel, BLOOD IS THICKER. Ack! I really generally dislike prologues–both as a reader and as a writer. Besides that, I’ve heard often enough that agents hate them, too. But even I have to admit that sometimes they’re necessary. Unfortunately, it looks like THE BARD’S GIFT is one of those times. You see, there’s a speculative element in TBG that will be somewhat important to the ultimate resolution of the story. And that element–a particular creature–doesn’t turn up as early as I’d originally hoped. Not until about three-quarters of the way, through, in fact. In my opinion, any unexpected element that will affect the ending needs to be introduced at latest before the half-way point. Otherwise, you risk the ending feeling like Deus ex Machina–something the characters haven’t really earned. That’s just not satisfying for the readers, generally. But there just isn’t any way to introduce this creature/character much sooner because my POV characters don’t get into his territory before that. My solution, at least so far, is a prologue–just a short scene involving this character that hopefully also raises some tension, but mainly lets the reader know that he exists. Sometimes, you just gotta do what you gotta do. My last post was about rereading Lois McMaster Bujold’s A CIVIL AFFAIR to help me work out some of the kinks in the romance part of my paranormal romance BLOOD IS THICKER. I’m still working on BLOOD IS THICKER, though I’m in the last quarter, now and my focus has shifted. Now I’m working on a little mini-caper plot point. In this case, I haven’t read or re-read anything exactly. I’ve relied more on this episode of Writing Excuses. This caper will only last through a couple of chapters, but hopefully adds a bit of action and suspense to the story leading up to the action surrounding the final resolution. This is something new for me. I’ve written action scenes before, but never tried anything resembling a caper before. I’m sure that this will need more tweaking in the next draft. That’s okay. It’s good to try new things and stretch yourself a bit. Meanwhile, I’ve also started the second draft of THE BARD’S GIFT, which is a young adult alternate history. It’s interesting to be working on two such different stories at the same time. We’ll see how that works out, too. As I’ve been working through the first round of revisions to BLOOD IS THICKER, I’ve also been rereading parts of A CIVIL CAMPAIGN by Lois McMaster Bujold. Not just because it’s my favorite of the Vorkosigan Saga books, though it is. Also because it’s a good model for how a smart man can blow up his own love life–and then fix it again by realizing his own mistake. That’s one of the things that happens in BLOOD WILL TELL, although obviously in a very different way, and it didn’t come off quite right in the first draft. It was too flat and a bit stereotypical. So, how to fix it. Well, it never hurts to try to pick up pointers from somebody who handled a similar situation extremely well. I think I’ve made it better. It still may need some tweaking, but that’s what revisions are for. BTW, I’ve finally built up some momentum in this one. I’ve passed the half-way point in this revision. Yay! The ongoing revisions to MAGE STORM as critiques come in. And the start of the first round of revisions to THE BARD’S GIFT. And that doesn’t count three (soon to be four) short stories that need some attention. Well, at least I know I won’t get stuck. I’ll always be able to switch to something else if I do. Well, by now I’d hoped to have e-published BLOOD IS THICKER, which is the sequel to BLOOD WILL TELL. That’s not going to happen until sometime early next year. Partly that’s because I didn’t get to it as soon as I hoped, because the first draft of THE BARD’S GIFT took longer than expected. Partly it’s because the first draft of BLOOD IS THICKER is just very, very rough. It’s going to need a lot of work and I won’t release it until I’m happy with it, bottom line. On a brighter note, I’m making better progress now that I’ve decided this first revision pass is going to be strictly to fix plot issues. That decision has freed me up to work a lot more smoothly and not get hung up on things that are basically cosmetics. Not that those craft issues aren’t important; far from it. It’s just that I can’t do everything at once on this one and that was keeping me from making any progress at all. Once the story is right, the cosmetic and mechanical issues will be so much easier to fix. I have given a little thought to the eventual cover for this one in my spare time. Even looked at a few images. 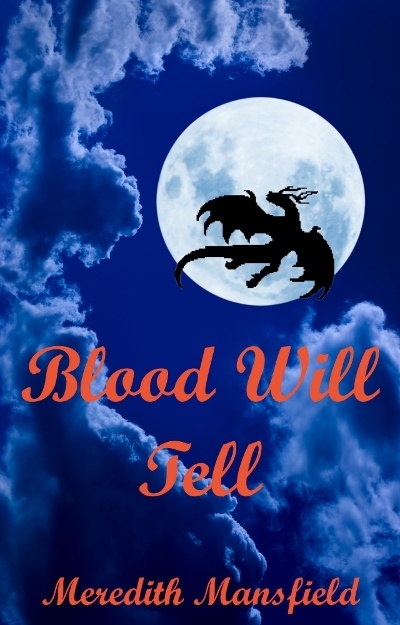 Having found that gorgeous magicl night sky for the background for the cover of BLOOD WILL TELL, I think the next two will also feature other kinds of magical skies–and that’s all I’m going to say about that for now. You’ll have to wait for the cover reveal. 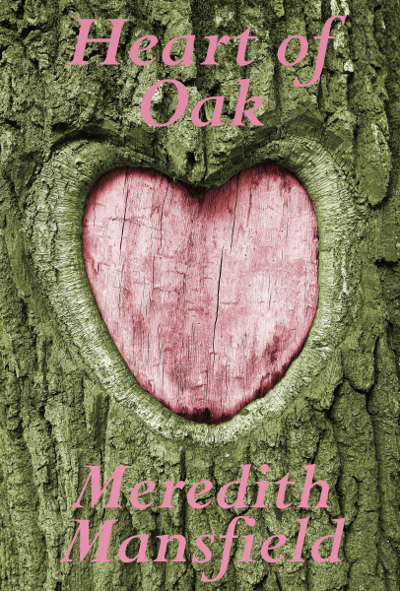 As long as I’m on a roll, I updated the cover for “Heart of Oak”, too. Is that image perfect or what? Now I have to change the trailer and get both of them uploaded. I like the new cover art, but now I really have to get back to work on the revisions for BLOOD IS THICKER (sequel to BLOOD WILL TELL). It’s just that the rough draft for that is so rough, that I’m having trouble keeping my enthusiasm up. I only have another ten days or so before the month is up and I’m going to drop it again to work on the revisions to THE BARD’S GIFT, which should go much more smoothly. For the record, it’s very easy to change covers on Smashwords, Amazon, and Barnes and Noble PubIt. You do have to remember to resubmit through their approval processes, though. Goodreads is a whole other issue I won’t go into right now. Just don’t upload your book to Goodreads if you think you’re going to want to change the cover. I’ve also updated the trailer to include the new cover. Now I have to go find all the places where I uploaded the old one and replace it. So, having made a cover I’m much happier with, watch this space for a new cover for “Heart of Oak”, too. I’ve got my eye on an image that’s so perfect it’s uncanny. The current cover for “Heart of Oak” isn’t hateful, but it’s not great either. The main problem with it is that it doesn’t read at all well in gray scale–like, you know, a whole lot of black and white e-readers out there would show it.